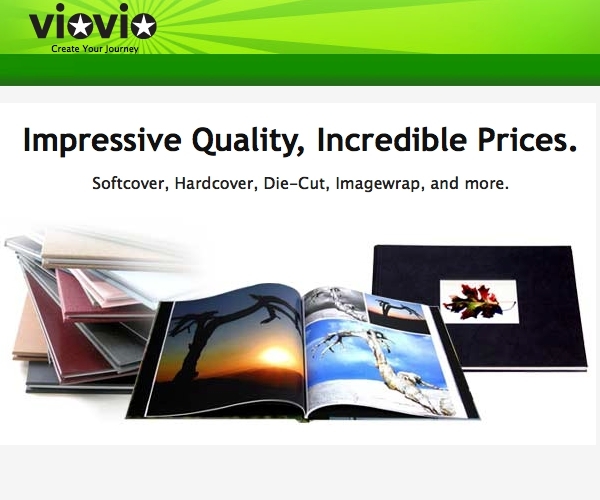 Viovio Photo Books Reviewed: Free Your Photos! 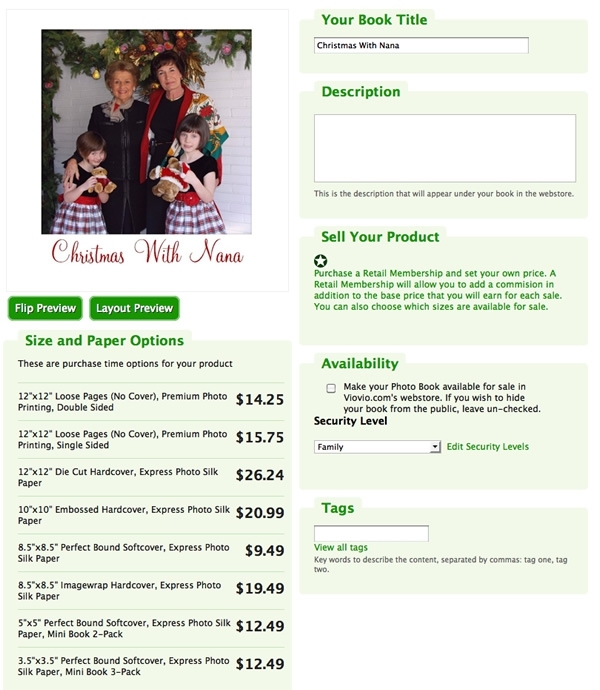 Impressive printing and pricing options. Finished project may not have the printing option you want. Summary: Am I the only one who has gigabytes of photographs gathering digital dust on my hard drive? I'm not, right? And why? Because ink and photo paper is expensive, and it would take me forever to print them out! And then what? Invite the family over for a sit-down where you pass one photo hand-over-hand to the person on your right, over and over? No, no, this can't go on, and that's exactly what went through the brilliant minds over at Viovio. 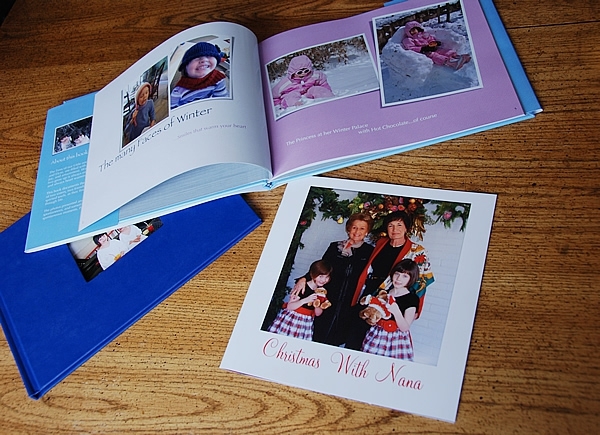 What if you could pick up a book, and inside have your photos displayed on high quality photo paper? And what if it had interesting notes and text, amid a visual playground that didn't just display your photos, but presented them? Viovio turns Family-Vacation-Photo-Night into an upper scale gala, thick with praise and hyperbole, but more importantly with love. And speaking of love, hidden in this review is a 20% off coupon for you to use! 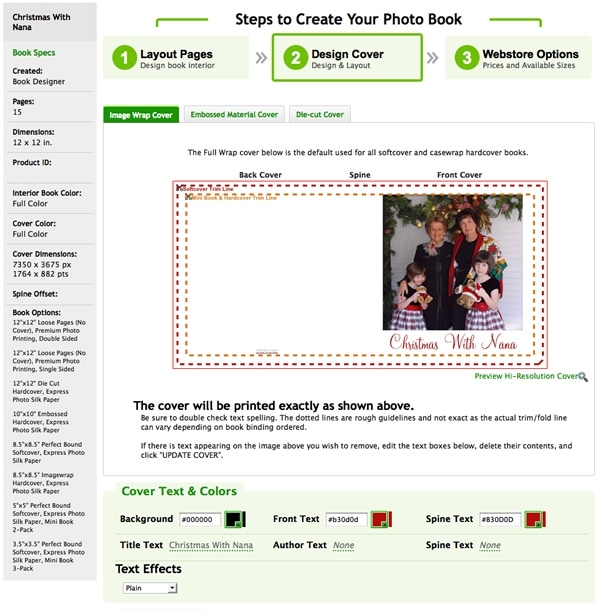 Viovio.com allows you to create photo books, photo cards, calendars, and more - on demand. With their simple tools you can drag and drop photographs and text onto any of hundreds of creative templates and create professional looking products you'd be proud to share with your family and neighbors. And while they have fee-based services, Viovio gives you up to 200MB of photo storage free. Viovio might sound redundant, and it is. Vio is Latin for "go travel." Viovio directly translated means "go travel go travel." Now I don't speak Latin, but to me the name implies, go travel, come back, print out a book, and let me live vicariously through your adventures (it's less expensive, and a convenient way to avoid Montezuma's Revenge - trust me). In support of my translation, Viovio encourages a Community where you can make comments, share photos, and create travel blogs. And in the name of world peace Viovio brings these features to its members for free. Viovio has put together a full service offering that plays to both the amateur and the professional. For the casual users, they provide tons of free and fee-based templates that can really pop your images and create an interesting dialog. 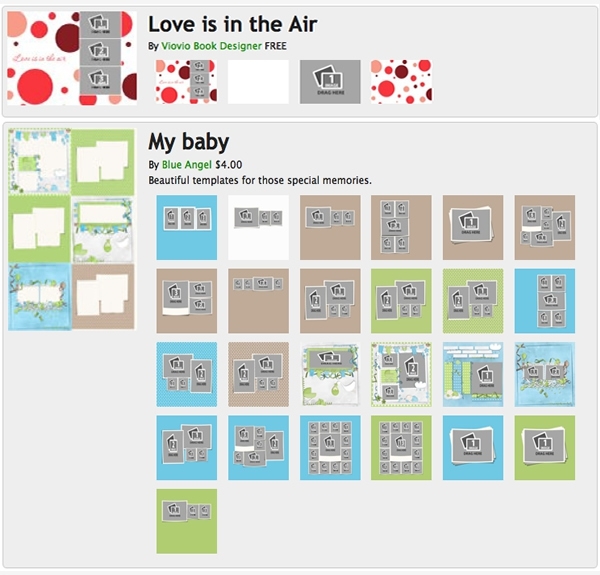 One really cool thing about the templates is that they are mix and match. You can use individual pages from different templates and easily integrate them into your project to create a one-of-a-kind look. Figure 2: Free and Fee Based Templates. The site is made to be easy. 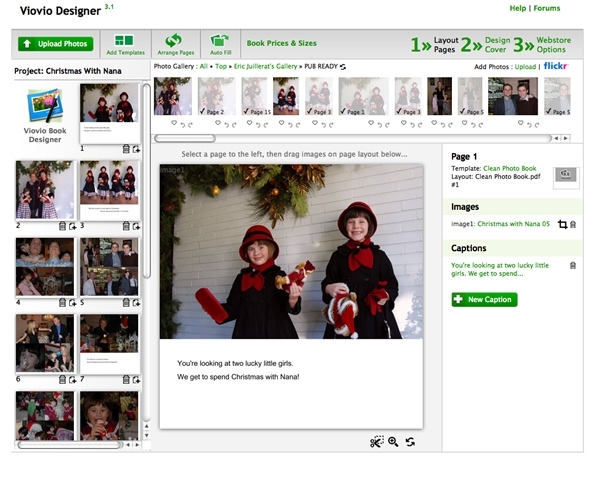 Drag and drop your images into templates, and employ simple text editing tools to make comments. Viovio also gives you several convenient options for uploading your photos: one at a time, in multiples, in a ZIP file, or even via FTP. For reasonable prices you can print your book with discrete Viovio branding and a unique book identifier. It's small, and I think it looks good. It makes it easy to reorder the book for those estranged relatives that suddenly want to be part of your family moments. For the professionals out there - or those like me who play one on TV - you have the ability to make books from the same blank or creative templates, but can also pay a wafer thin fee to have the Viovio branding removed. This might be useful when self-publishing or utilizing Viovio's services to sell your books. To this fact they are in the process of expanding their distribution options, offering ISBN's and Amazon listings; you professionals out there, take note. Figure 3: Full service printing. Don't want to use Viovio's templates for your book? No problem; upload a PDF and have Viovio print it for you. For you Mac users out there, they can print your iPhoto book, offering more options than Apple, and at cheaper prices. In addition, Viovio has recently added Aperture file support. As you can see, Viovio is a complete printing service, with an ecosystem designed to support the casual and professional users alike. So how does the service work? Thoughts Media, our parent company, sent me in to find out. First off, getting started can be a bit tricky. The interface is web-driven, which can be cumbersome, leading to erroneous navigation or unintended clicks away from work in progress. This provided some early frustration. In time, I learned to love big brother - I mean the interface - and was able to efficiently create and assemble books...in time. Once in, you are confronted with a daunting question: Which template do I use for my photo book? And this can be a bit overwhelming. There are tons of templates available. Some are free, and others you pay a few dollars for - contributed to the site via the community. A good strategy and pre-creation planning session would go a long way here. I'm known less for planning and more for jumping in, so I chose my template on the fly...and that ultimately lead to the creation of two books instead of one. One day I will plan, but that's for another day. You should go into this with a couple of questions in mind; 1) who is my audience - who will be viewing the book, 2) What kind of pictures will be in the book - portraits, landscapes, or embarrassing family photos? 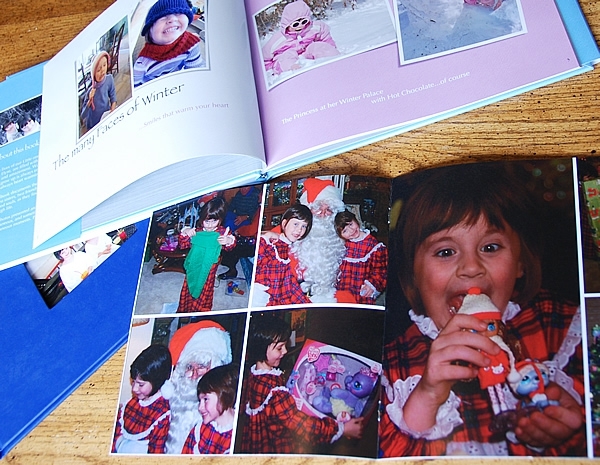 My book chronicled the latter (our last Christmas), and was filled with pictures of the family, and Santa of course! It was my intention to give this book to Nana, who would appreciate large pictures unencumbered by details that would detract from identifying each family member. The first template I chose for the book was absolutely beautiful! It had intricate artwork that surrounded each and every picture and created a boutique looking book of a professional scale I could not duplicate. Only problem was, because of the artwork, the pictures were small. And because of the way the artwork layered over parts of the image - the effect was engaging, you always lost bits of the photos which made it difficult to crop and place said photos. Upon realization of this fact, and many hours spent, I switched gears and chose a blank template instead. It is important to note that it cost me nothing to create these books, so I only lost time and pride. The moral of the story here is to think about how your pictures will be used and carefully choose the template that will best tell your story. Constructing your photo book requires patience; I don't have any. The interface is not particularly intuitive, and requires a click-and-wait procedure that could have pushed Nelson Mandela to snap his pencil in half. Inserting an image is great - drag and drop. But if you want to move it, crop it, or rotate it, you have to choose it, click the tool, perform the task, click to complete, review, and repeat until it looks good - each step followed by a long pause. This same list of clicks is required for adding text, however, is even more frustrating as each time you change a font, size, color, bold or italicize, or just move it, you have to complete the list above. Every time you make a change you have to wait for the site to update. If you don't plan, and are somewhat creative, this process can take a long time. Figure 5: Cover may not be printed exactly as shown above. Creating a Cover for my book included the same frustrations above, followed by it's own unique set of challenges. The cover designer tool has convenient tick marks to show you where your book, depending on style and printing option, may crop your cover photo. This should be a useful guide, giving you the ability to place an image without fear of cutting off Auntie's head. But it's not. The guide is so "general" that the tool becomes useless.This only exacerbated by the fact that the provided design tools are so limited that things like centering and page positioning become difficult. To confound the issue even further, the guides are specific to the printing option you choose for the book. Choose hardcover, it crops here; softcover it crops there. This means you have to re-design your cover if you change your mind later. Unsure if my image would be improperly cropped, or my text vertically truncated, I chose to shrink my image to accommodate for almost anything. Viovio offers many printing options: Hardcover, Softcover, Die-Cut, Imagewrap, Wire-O, mini-books (3.75 x 2.5 to 7 x 5), and large books (11 x 8.5 to 14 x 11) and several different photo papers of varying quality. It is easy to find a book that will fit both your needs and your budget. What quickly becomes frustrating is choosing a book, designing for it, and in the end finding out you can't get it printed on the paper you wanted. For some reason, depending on the type and size of the book you choose, you only have certain options for printing it. I wanted a higher quality paper, but didn't have the option, so settled with what they gave me. Don't get me wrong, the delivered product looks great; I just would have chosen something different - and paid more, given the opportunity. Figure 6: Want an 8.5 x 8.5 with Premium Photo Printing? So did I. The finished product was more like a magazine than a typical photo book. While I missed the hardbound feel, the recipients of the photo book liked it more than the albums and hardbound books they had. My wife made comment that she was expecting a hardbound book and was a bit disappointed - until she spent some time with the book. She came to admire the feel and size of the book, explaining that it took less space, was easier to handle, and felt good in the hand. She thought it would be much easier to catalog photos and store them in this format than in hardbound. And other family members corroborated this sentiment. To me, it feels like a very high quality magazine. The paper feels very nice, the cover - proportionately significant, and the images are good; if not a bit dark. The printing dots are visible to a trained eye. Given that my image file sizes were between 1MB - 3MB, I would have preferred crisper images. But as I sit here and nitpick, I am reminded that six of these books were near the same price as one of Apple's hardbound books. I have only one of those, and primarily because they're so expensive. On top of that, I find that I cannot just get one book printed. If a family member sees the book, they either take mine or nag me into submission for their own! At roughly $9.50 per book, this is a very nice gift sure to please anyone with a sentimental heart. And now it's all starting to make sense. Viovio allows me to take my images off of my hard drive and display them where my family and I can enjoy them; and at a very good value. In the same breath, I can experiment with different paper, bindings, templates, sizes, and formats at a price that won't induce bouts of buyer's remorse. I now find myself wanting to put together another book. Figure 7: A very good value, and a nice presentation. It's an online application, and many if not all of my comments are indicative of this. A common problem with online applications is the browser. Browsers are not standard, and are difficult to program for and around. I know; I have designed user interfaces for Internet applications. It's difficult. On top of this, users, like me, go and add plug-ins for neat things, cute things, and things I didn't know I needed. This can cause problems for applications like Viovio's that can slow the process, or cause the process to error out. I used Firefox, and had problems. I used Safari, and had no problems. I turned off Firefox plug-ins (Safe Mode) and things worked as advertised. Just be aware that there can be issues that are browser related, and that can be worked out. That being said, this is a good time to tell you that Viovio's customer service is exemplary! It was fast via e-mail, pleasant, and gave me the impression that they cared. Customer service like this is hard to find; and especially from an online web site. Truth be told, I used them frequently, and even to this day they still speak to me, even using my actual four-letter name. Viovio has asked me to extend to you, our Thoughts Media faithful readers (and all you other people), a 20% off coupon to use on your next photo project. Just use the code 20OFF when you check out. It's this kind of attitude that makes it all worthwhile. And it's because of this attitude that I whole-heartedly recommend using Viovio for your photo book and related printing needs. I know I will. Figure 8: Set your photos free and continue to enjoy those special moments currently stored on your PC! The things that challenged me include: the click-and-wait creation procedure, the one-color-only text option for the cover, the cover cropping-guide-tick-marks, and that limited printing options resented based on your initial book selection. I should be able to choose any of the many printing options available, at any time during the process. The things I really liked include: their customer service, ZIP file and FTP photo upload capabilities, the quality of the delivered product, shipping time/communications, and the many template options available for use. You can really create a professional look and feel here, as well as, create your own books for sale. Viovio provides a simple, highly cost effective, and high quality way for me to take my photos off of my hard drive and put them into a book; where they can be enjoyed by many. In my opinion they provide a value for your money, and a treasure for your family. Oh, and one other thing - this year Viovio is working on lowering shipping costs for Canadian customers by printing with a Canadian printer; not bad eh? By the way, did you find the 20% coupon contained in the article above?